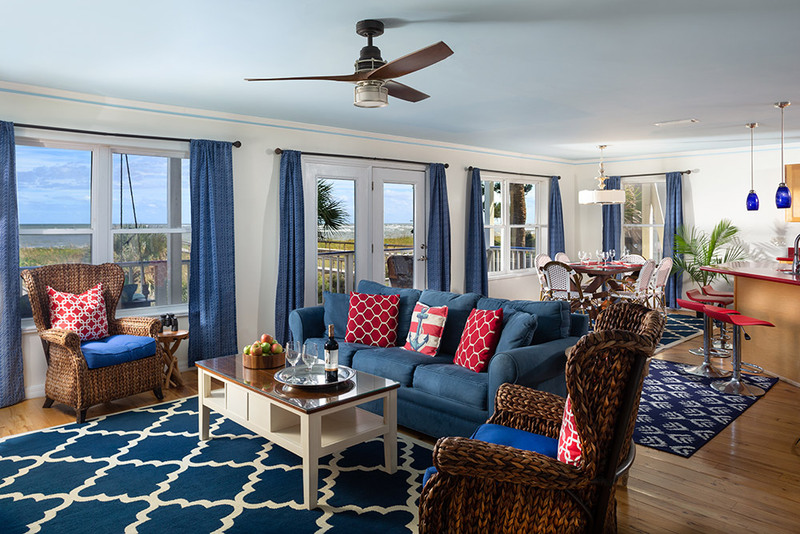 This oceanfront, apartment-sized suite offers easy beach access via a wooden boardwalk through the dunes, and wonderful comfort inside. 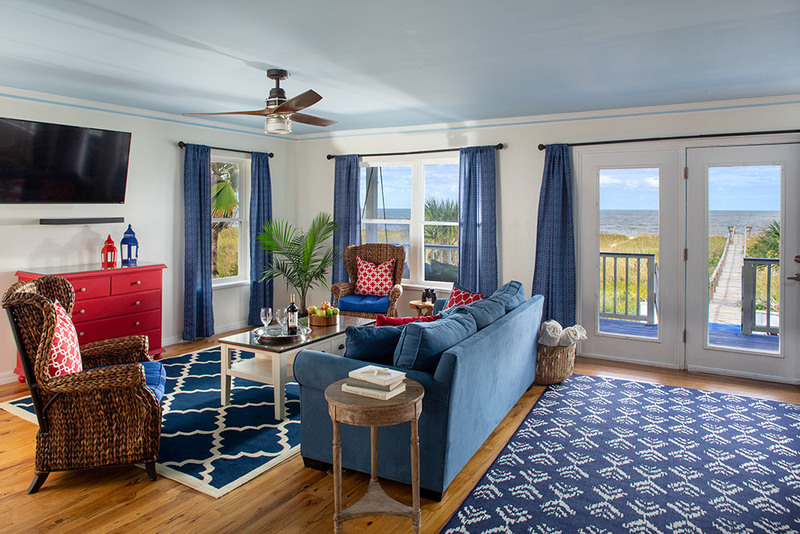 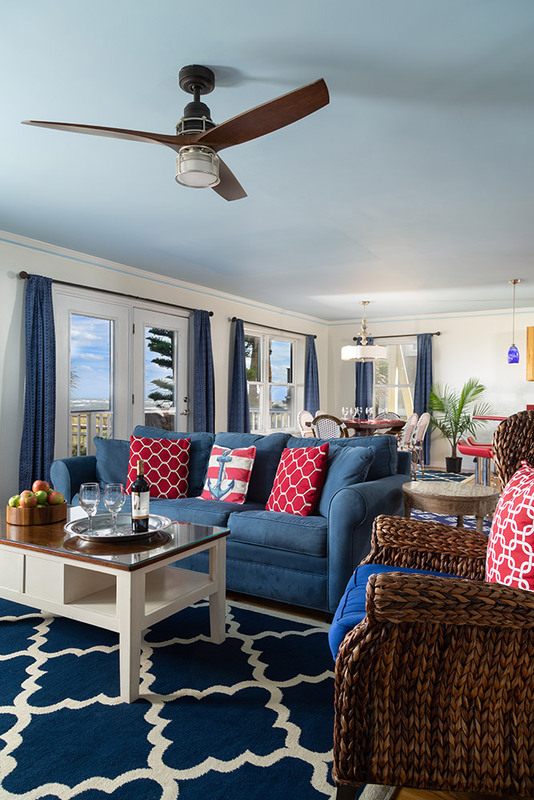 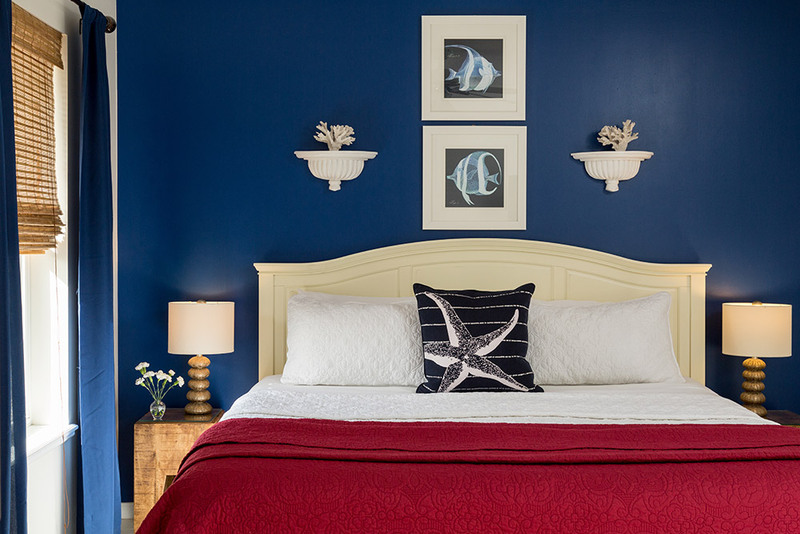 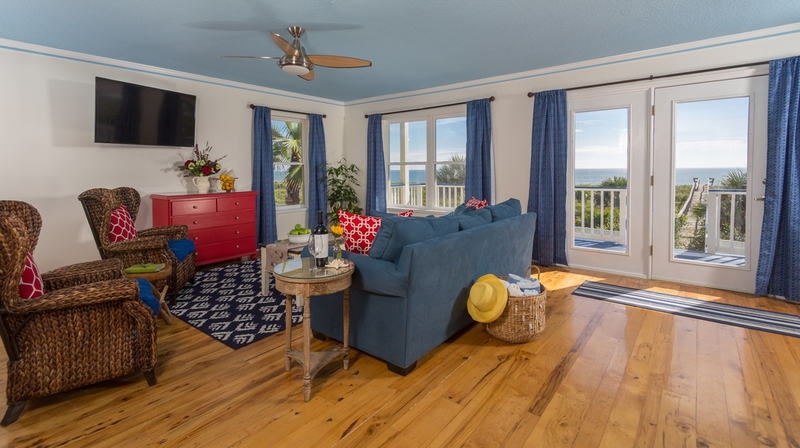 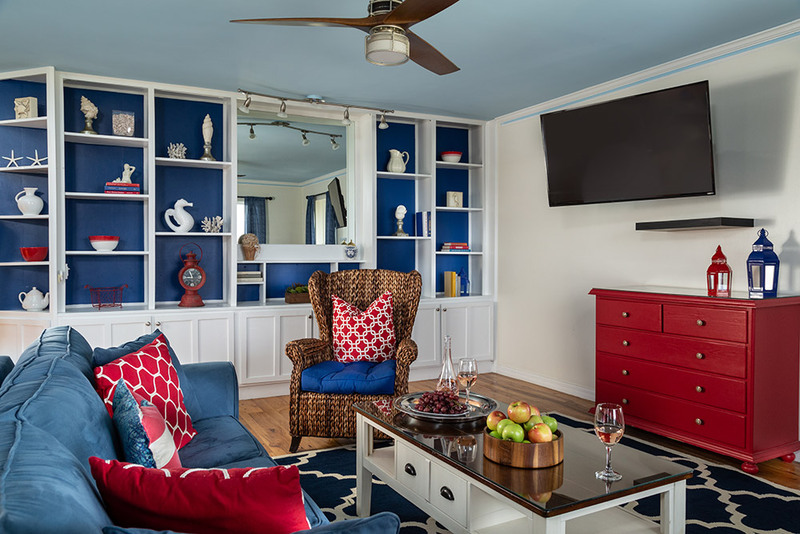 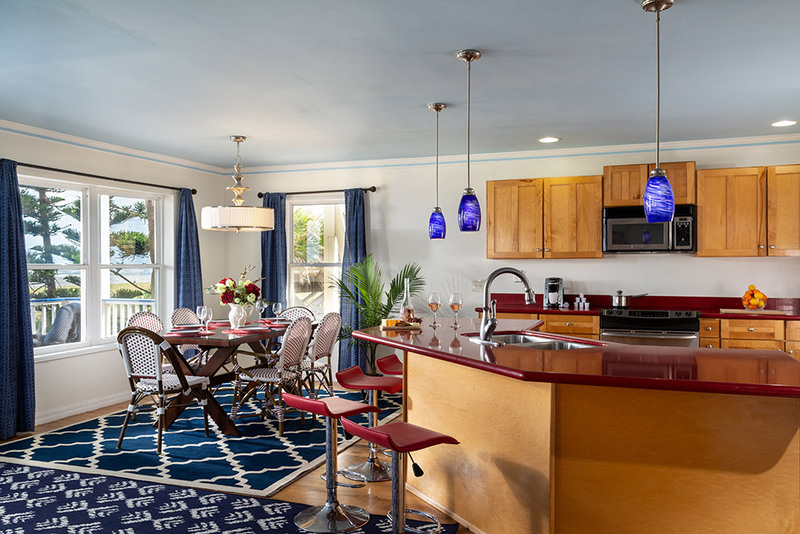 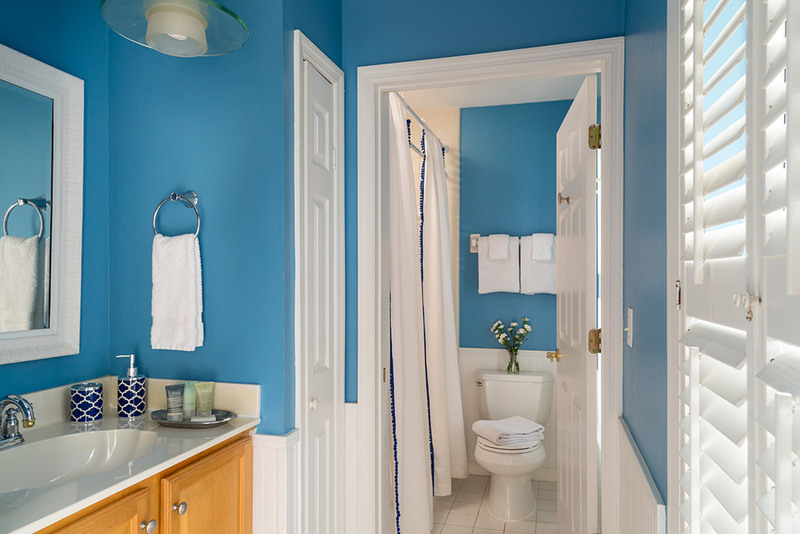 The nautical-themed second floor includes a full kitchen, bedroom with king-sized bed, tub/shower combination, and a large living/dining space lined with bookshelves filled with beachy finds and a queen sleeper sofa. 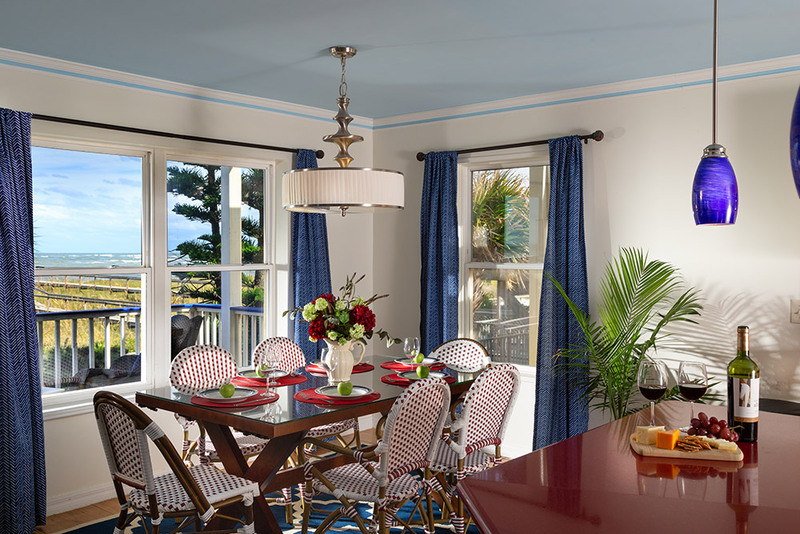 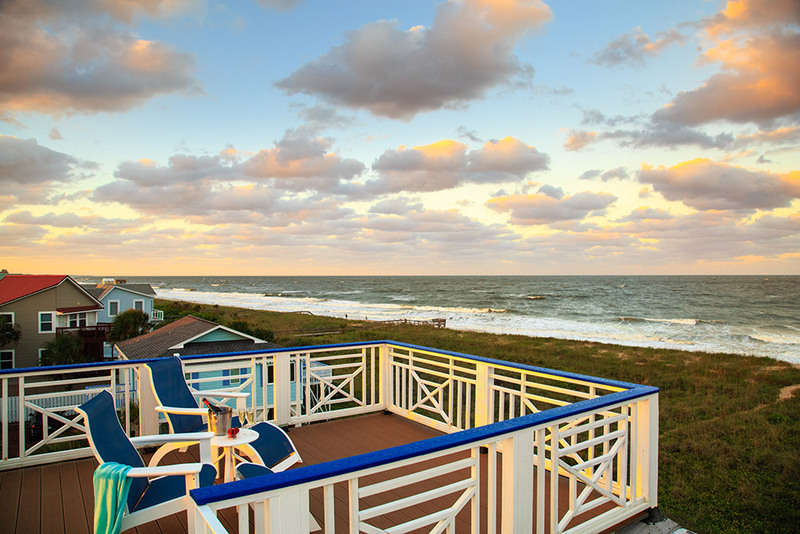 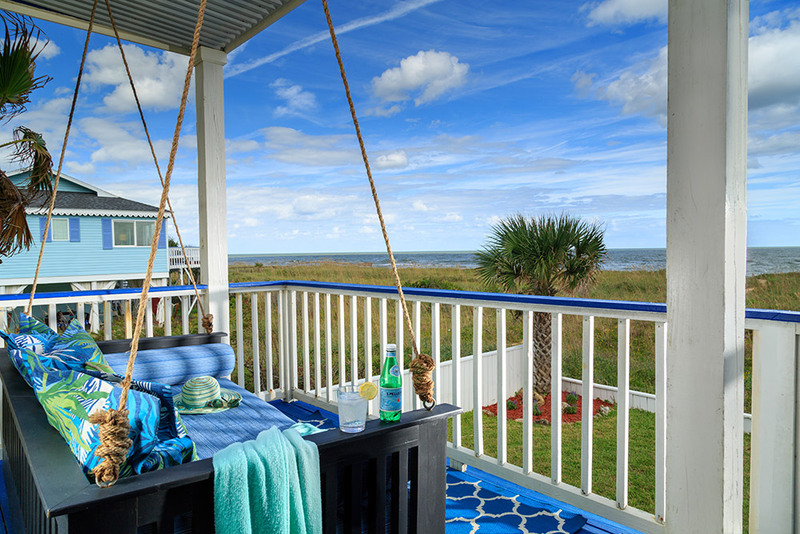 Enjoy the amazing views of the ocean from inside or outside on your private porch with porch swing and outdoor sofa. 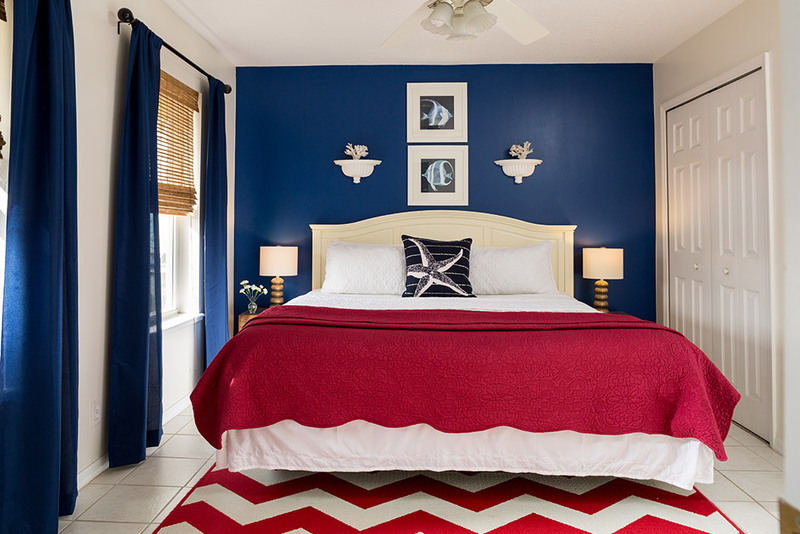 On-site laundry makes for easy packing.